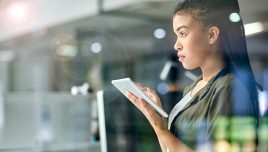 Long compliance online training courses lead to cognitive overload and employee dissatisfaction. Especially when a dry or dull subject matter is part of the equation. In this article, I’ll share 8 tips to reduce compliance online training seat time. Most employees are tempted to call in sick on compliance training day. 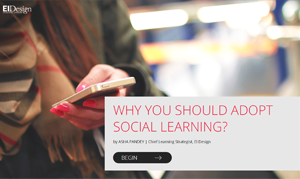 Learning technologies might make the experience less painful, but it’s still not something they look forward to. Particularly when the online training course is long, overly complicated, or packed with boring facts and stats. The good news is that you can improve engagement and motivation by making your compliance online training content easier to digest. This also results in lower L&D costs and improved productivity. Here are 8 ways to cut compliance online training seat time without compromising quality. It’s not about how much they know, but how well they know it and whether they can apply it on the job. 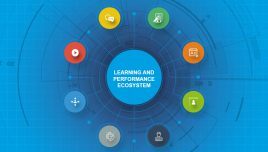 Simulations and branching scenarios allow employees to test their knowledge and absorb new information in a practical context, which makes online training more memorable and easier to recall while expediting the process. For example, an employee learns by doing and can see how their actions lead to positive or negative consequences. Better still, it’s in a risk-free environment where they can learn from their mistakes. Enhance the immersion by using real-world images, sounds, and characters that resonate with employees. 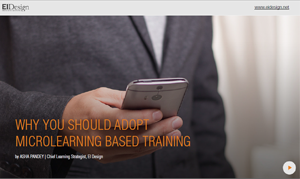 Microlearning online training repositories offer moment-of-need information so that employees can focus on areas of improvement and get back to work instead of having to struggle through a compliance task or trying to remember a crucial company policy. They can simply access the library, get the knowledge they require and apply it right away. As such, they don’t need to spend as much time in formal online training, since they’ve already bridged the gap. Brief podcasts, videos, infographics, and case studies are great examples of microlearning assets to add to your repository. Compliance online training often includes more complex or involved concepts. Especially topics that tie into regulations or mandates with many facets. However, you can illustrate the key discussion points with video demos that allow employees to visualize. For example, a 5-minute video helps your HR staff understand better the sexual harassment policies currently in place. They can explore the do’s and don’ts, as well as the protocols to handle a compliance breach. Thus, they acquire information more rapidly and effectively. Ultimately, employees need compliance online training that’s custom tailored to their needs, positions, and work-related tasks. A one-size-fits-all course usually just brushes the surface instead of giving them targeted information they can use on the job. On the other hand, a personalized online training path allows them to choose their own activities based on their job requirements. This leads to less compliance online training seat time since they’re able to cover all the essentials instead of perusing topics that have nothing to do with their work responsibilities. Compliance online training with a narrower scope results in less seat time and better work performance. Pre-assess employees to identify their gaps, then recommend online training resources to bridge them. For example, a qualitative assessment reveals that a warehouse employee is unaware of safe handling procedures. As a result, they can add relevant demos, online training tutorials, and simulations to their personalized online training path. Their peers can focus on their own performance and knowledge gaps rather than spending precious time and resources building knowledge they already possess. You can also conduct post-assessments to show them how far they’ve come and fuel their motivation, as well as identify areas for improvement they still need to work on. 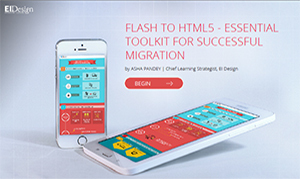 A responsive design LMS gives you the ability to deploy training that’s multiplatform-friendly and easily accessible. Employees are able to login to the platform anytime, anywhere to get just-in-time resources. They also don’t have to worry about confusing navigation or other tech hurdles standing in their way even if they aren’t on a dedicated PC training terminal. Be sure to preview the versions of your online training content and make minor adjustments for maximum impact. One of the most common reasons for lengthy compliance online training seat times is lack of employee motivation. 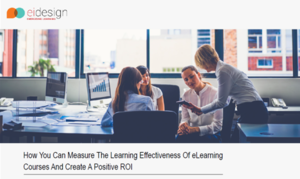 It’s not that the subject matter is too complex or that the eLearning course design is flawed, but that employees are simply too bored to fully engage with the online training content. Thus, they aren’t driven to complete the compliance online training and assimilate the takeaways. 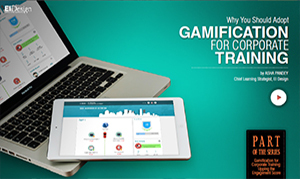 Fortunately, you can use serious games to convert dull compliance topics into a memorable online training experience. Many rapid eLearning authoring tools now have built-in templates, characters, and game mechanics to help you save time. The feedback you provide at the end of each online training activity or module must also be custom tailored for every employee. They need to know their strengths, areas for improvement, and how to move forward best. This allows them to devote training time to crucial knowledge gaps that will help to prevent violations and improve performance. 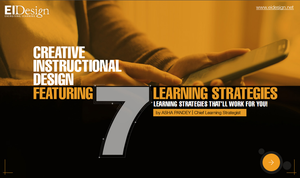 Follow up with resource recommendations so that they don’t have to peruse the online training library on their own. Thereby, saving even more time and allowing them to channel their efforts more productively. 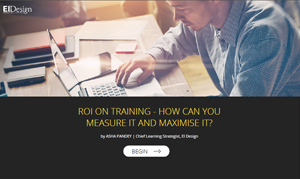 Reducing compliance online training seat time benefits not only bored employees who are tired of mandatory training but also your company’s bottom line. You can allocate resources more effectively and ensure that the staff spends more time on the job instead of sitting behind a screen for hours, struggling to absorb all the information. This means that you also decrease the risk of costly compliance violations and prevent work-related incidents. How can you get your employees excited about compliance online training? Read the article 8 Secrets To Spark Excitement In Compliance Online Training to discover how to get your employees enthusiastic about your next mandatory compliance online training course.